I participate in the local religious leaders group here in Hingham (Hingham & Hull Religious Leaders Association). It's a great group of people. We meet monthly for fellowship, conversation, and to challenge one another, usually in the form of a current topic, issue, need, etc. We also have various events and services (MLK Day, Thanksgiving Service, etc.). 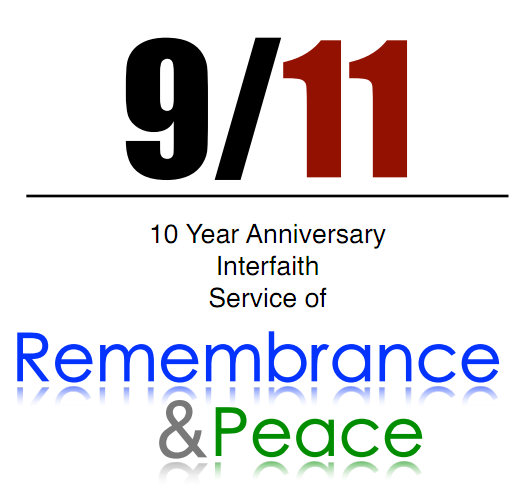 This year, we are gathering in the afternoon on the 10th anniversary of 9-11 to have a service of remembrance for the day. We are also ringing our various chapel/church bells throughout town in the morning at the time of the second WTC building collapse. "It changed the world forever." "We'll never be the same." I challenge the notion of these kinds of statements. I'm not sure we have changed. I think the world is pretty much the same as it was before: one big power struggle between human beings. The powerful have become stronger, the powerless have become weaker, and fear reigns. It's with these notions and others that I wrote this prayer for the 10th anniversary of that horrible day. We've said, "We will never forget." For we understand that to be yours. We've said, "We will never be the same." Returning fire for fire; But instead, love, despite the fire. And not an excuse for more 'tearing apart'. Our holding on: only to that which is good. Our quest to outdo: only in the things of honor. We've committed to keep shopping. All in the favor of the universal product-good that is peace. Thus, keep us true to our words.